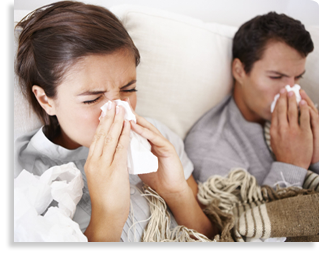 One Billioncolds are suffered every year in the U.S.
Whoa Nelly. That’s a lot of colds. Our Cold & Flu Headquarters is here to help keep you healthy or, if you do get sick, help you relieve the symptoms of a cold or the flu so you can get back to being your fabulous, mom-tastic self. Cold or the flu? Compare the symptoms. Oh no! Is it seasonal allergies or a cold? Which Contac Cold + Flu remedy is best for me? Take our Symptom Quiz. *Dads get sick too! We love you Dads!